Cassia tree, also known as Chinese Cinnamon, is indigenous to Burma and China. 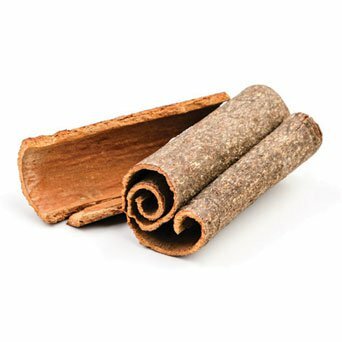 Like cinnamon, the cassia bark is used in enhancing food flavor and drinks as well. Cassia essential oil is made by steam distillation of the parts of the tree - bark, twigs, and leaves. Learn more about Cassia Essential Oil or find a great deal on the best selling Cassia Oil from the items below! These 100% natural essential oils are meticulously extracted from plants by cold pressing or steam distillation using the same techniques developed by the medieval Persian physician Avicenna. All Natures Alchemy high-quality botanical oils are scientifically tested for purity and contain no chemical solvents added alcohol or other extenders. Directions Use as usual. Other Ingredients: 100% Pure Natural Essential Oil. Botanical name: Cinnamomum cassia. Country of Origin: China. Extraction process: Steam distillation. Warnings: Keep out of reach of children. As with all dietary supplements consult your healthcare professional before use. See product label for more information. Not for internal use. Warning: Concentrated. Not for internal use. Keep out of reach of children. Embraced by both Asian and European cultures for centuries, NOW Foods Cassia Oil (Chinese Cinnamon) is steam distilled from Cinnamomum cassia. Now Foods Cassia possesses the characteristic, warm, spicy, cinnamon aroma. NOW Foods Cassia Oil is 100-percent pure and natural. We cannot accept returns on this product. Cinnamon Cassia Essential Oil. 10 ml. 100% Pure, Undiluted, Therapeutic Grade. A close relative of true cinnamon, cassia essential oil has a spicy scent which is reminiscent of winter holidays. Scent some homemade pine cone potpourri with cassia, sweet orange, and coriander essential oils. A drop of Cassia essential oil can also be diffused with equal parts of Clove Bud and Sweet Orange to bring back holiday memories. Cassia essential oil is sometimes used as part of a topically applied warming blend, but great care must be taken as this is an oil which can easily irritate skin. 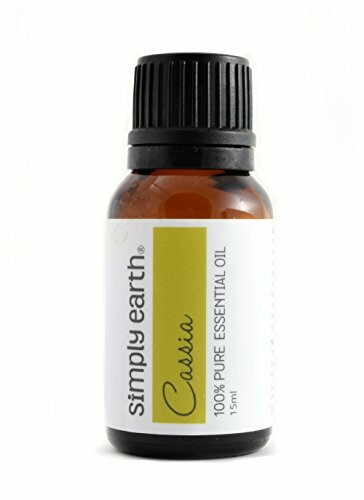 Silky Scents EO120-1OZ-30ML Cassia Essential Oil 100 Percent Pure Therapeutic Grade - 30 ml. Aromatherapy Properties: (Uses). Cassia is a tonic carminative and stimulant. It is used to treat nausea and flatulence. It is also used alone or in combination to treat diarrhea. Chinese and Japanese scientists have found that cassia has effects and lowers high blood pressure and fever in experimental animals. The oil has antiseptic properties killing various types of bacteria and fungi. Cassia oil is used mainly as a carminative (for relieving colic and griping) or as a stomach tonic. It can also be used for colds influenza fevers arthritis and rheumatism. Blends well with: Benzoin Clove Leaf Coriander Seed Cardamom Frankincense Ginger Grapefruit Pink Lavender 40/42 Rosemary and Thyme Red. 100% Pure Essential Oil Capacity - 30 ml. 100% Pure Therapeutic Grade Cassia 10ml Essential Oil Botanical Name: Cinnamomum cassia Comes in 10ml amber glass essential oil bottle. European Dropper Cap included Cassia Essential Oil has a sweet woody and spicy earthy aroma similar to cinnamon. What sets Healing Solutions Essential Oils apart is superior cultivation of ingredients that are the best in the world. Combined with superior distillation and bottling care process, We GUARANTEE that our oils are aromatically superior and more effective than any other oils - if you disagree we will refund your money! The Leading Aromatherapy Associations (Alliance of International Aromatherapists (AIA), International Aromatherapy and Aromatic Medicine Association, Aromatherapy Trade Council, and others) all state that essential oils should not be taken internally (regardless of purity or organic origin) unless under the guidance of a health care practitioner trained at an appropriate level . As such, all of our oils carry a label warning that the product is NOT FOR INTERNAL USE. Aroma: Warm, spicy. Benefits: Warming, stimulating, refreshing. 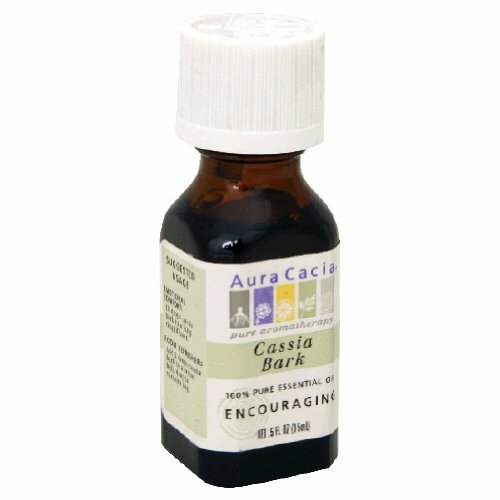 Essential Oil Cassia Bark .5 oz. Though it provides a comforting aroma, cassia bark essential oil is highly irritating and should not come in contact with the skin. Its properties are best appreciated when diffused. 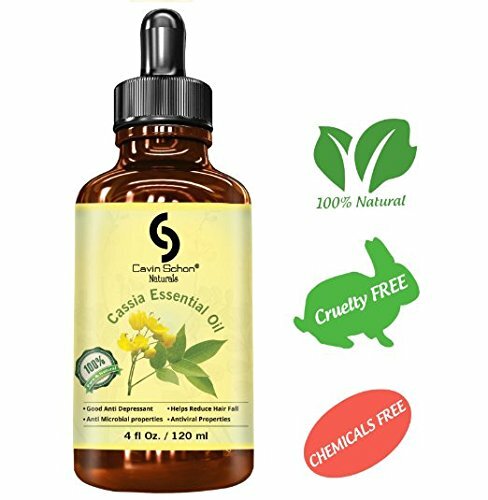 Cavin Schon® Presents 100% Natural, Un-adulterated, Undiluted Cruelty FREE, 100% Vegan, Steam Distilled, Pharmaceutical & Therapuetic Grade Essential Oils - We Stand behind our products and provide 100% Money Back Satisfaction Guarantee. For any reasons, if you are not satisfied with your purchase, please contact us and we will go above and beyond to provide an Excellent customer service including Replacement products or Full Refunds.